The new £6.6m Square Chapel building which will transform the arts centre by creating a new extension and improved facilities on Calderdale is on schedule. The new look square Chapel will house a main (Red Brick) auditorium; a smaller (Copper) studio space that will also double up as a cinema; a new café/bar and Box Office; new improved toilets and an entrance that will lead directly into The Piece Hall. 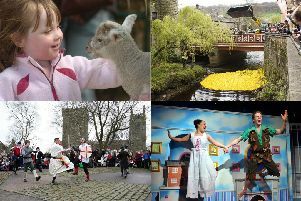 Contributions for the project have come from various sources including Arts Council England, Calderdale Metropolitan Borough Council, Foyle Foundation, Garfield Weston Foundation, Wolfson Foundation, Monument Trust, Sir George Martin Trust as well as public donations, individual giving, businesses and fundraising events by the Centre’s circle of supporters – Friends, volunteers, staff, performers and partners.